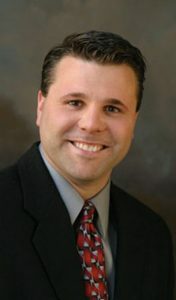 Prior to working with Bomier Properties, Nick worked in the finance and mortgage industry in Appleton. He was a mortgage loan officer for Wells Fargo and Inlanta Mortgage; as well as the owner, operator of Ideal Home Lending for 6 years before selling and becoming Director of Business Development for Faith Technologies in Menasha. Nicks collective and expansive expertise gives him a broad understanding of the important principals that must be incorporated into successful transactions. With his solid work ethic and attention to detail, the entire transaction process appears seamless, giving his customers and client’s peace of mind. Nick is an Appleton native graduating from West High School and went on to Ripon College where he achieved a Bachelor’s Degree in Communication and Leadership Studies.